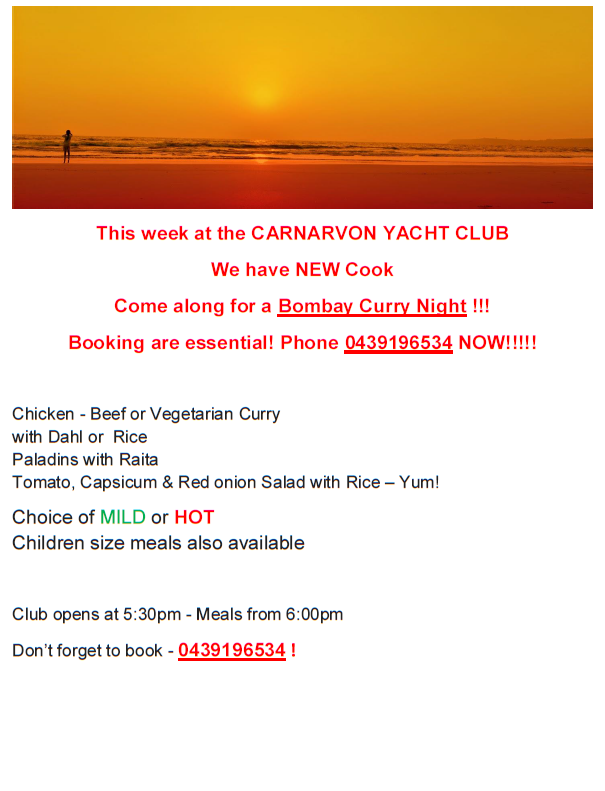 CARNARVON YACHT CLUB. We have NEW Cook. Come along for a Bombay Curry Night !! !